IDC joins 73 national and local organizations to endorse the Elie Wiesel Genocide and Atrocities Prevention Act (S.1158, H.R.3030). The bill was introduced in the Senate by Senators Ben Cardin (D-Md. ), Todd Young (R-Ind. ), Thom Tillis (R-N.C.) and their colleagues, and introduced in the House of Representatives by Representatives Ann Wagner (R-Mo. ), Joe Crowley (D-N.Y.), and their colleagues. ISIS’s criminal acts against Christians and other religious minorities in Syria and Iraq was designated as a Genocide by the U.S. Congress and administration in 2016. The rise of ISIS and the volume and scale of its atrocities demonstrate that when violence and wars break out, they are rarely contained. Their detrimental consequences spill over into neighboring countries and reverberate for decades to come. Worse, this kind of violence only fuels additional waves of atrocities, human rights and religious freedom violations around the world. 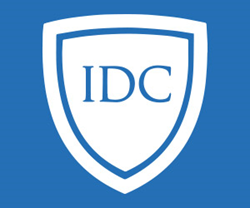 IDC believes that preventing such violence and ongoing persecution against the most vulnerable communities is a matter of national security to the United States and should be treated as a priority.